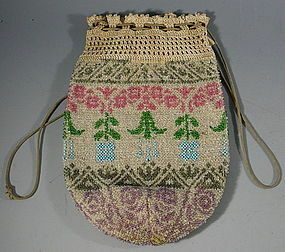 An antique Pennsylvania Dutch beaded purse with crochet work. 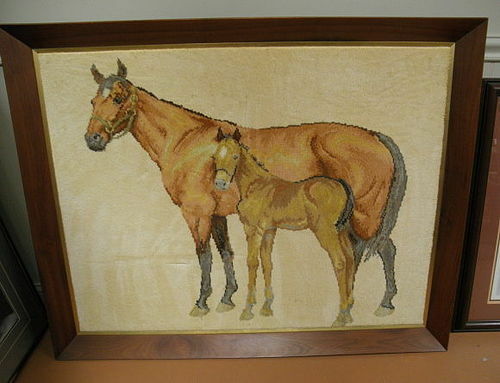 The background is covered with small clear beads that are slightly iridescent. Same pattern on both sides. Exhibiting excellent handwork, this rare find dates about 1850 and measures 9.25" x 6".